Does anyone remember what it was / have a site with a list of great themes? I remember tiring it out, thought it was from ITUS and would be in sp1 release, but never appeared. Have not idea where it came from. How to you install the themes, it's been a long time. Just install it like a regular package... opkg install. No config necessary. but just not then switched to that theme. There's also an "itusnetworks" theme in those folders. 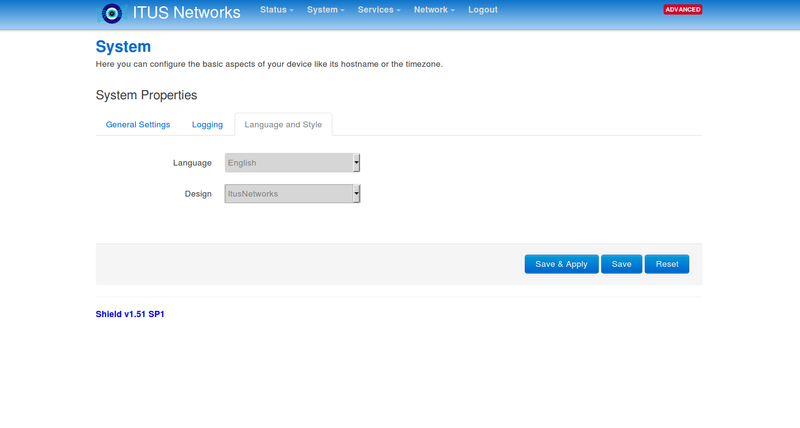 This page indicates that luci should have a settings page to allow us to select the new theme once installed, but maybe ITUS have disabled it. Anyone know how to change luci themes via the shell? Going off memory, you have to install an earlier version like 0.2.3 then update to the latest version. 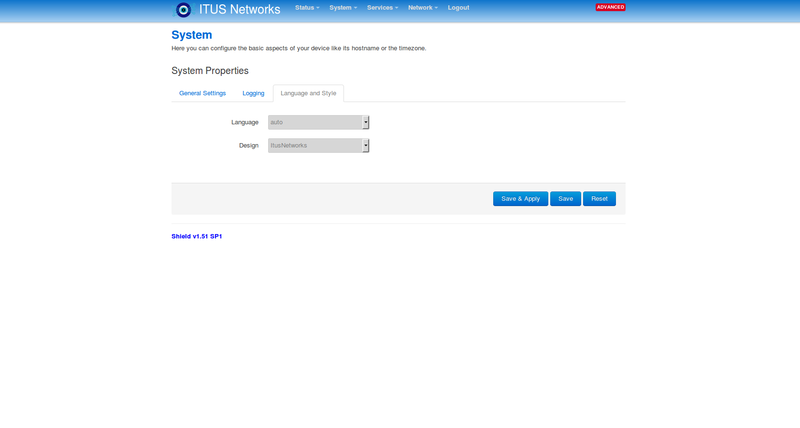 The previous default mediaurlbase was '/luci-static/openwrt.org', but that theme isn't installed so I think it may have been falling back to the first available theme alphabetically (and 'itusnetworks' comes before 'material'). 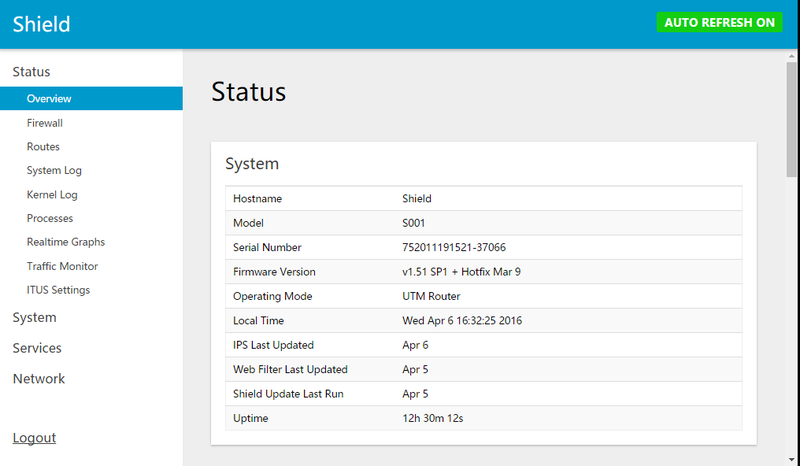 I've made some Shield file changes to get installed themes appearing in the UI - if you'd like a copy see this github pull request. The file I changed could not have had any effect on font sizes - notice that even the logo image is smaller. I suspect your browser magnification levels may have changed somehow, perhaps an accidental ctrl+scroll wheel could have done it? If all else fails, suggest pressing ctrl+F5 after the theme change, just to ensure the browser's cached CSS files are cleared.